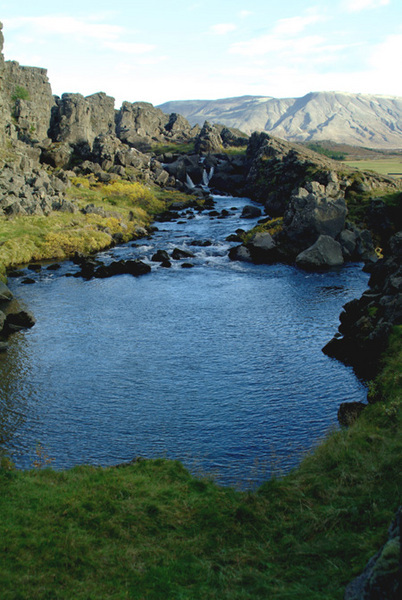 The river Öxará is in Thingvellir National Park. It descends to the rift forming the Oxaráfoss waterfall. Some of the the popular TV series, Game of Thrones, was filmed at this location.